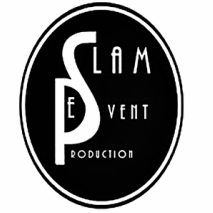 SLAM Event Production has been established as an events production since 2012 in Tondo Manila. ​The owner & managing director is Saralee Joy Abesamis. The difference between us and other production agency is that we have a wide array of talent, from newbies, to hobbyist to professionals, that are passionate, talented and has a creative mind that can fit into your budget. Quality product and customer service is our main goal. 1,920 on our Instagram. We have a new office at Vinia Residences Quezon City. that we launched last 2017 that is also picking up new followers as we speak . The Owner and Managing Director of SLAM Event Production. I am also a pro - photographer and pro - makeup artist, social media marketer and a vlogger.